How well do you know your tax deadlines? Here’s a handy guide to make sure that they’re fully engraved on your brain and in your diary – the 12 dates of tax. If you’re feeling really bored you could make it into a quiz. Why not play along with friends and family? Or maybe not! Is the deadline to submit your limited company corporation tax return. 12 months is also the deadline for changing and re-submitting a corporation tax return from a prior year. For the financial period ending 31 Jan 16, changes and corrections can be made by resubmitting the corporation return before 31 October 18. This article gives more detail on how to make a correction. Is the deadline to pay your limited company corporation tax. If your business year end is 31 Jan then your Corporation tax is due to be paid by 1 November. Is the deadline to file your limited company annual accounts to Companies House. If your business year end is 31 January then you need to submit annual accounts by 31 October. Now there is a bit of an anomaly here. How can you pay the corporation tax bill at nine months and one day if you don’t have to submit it until twelve months? 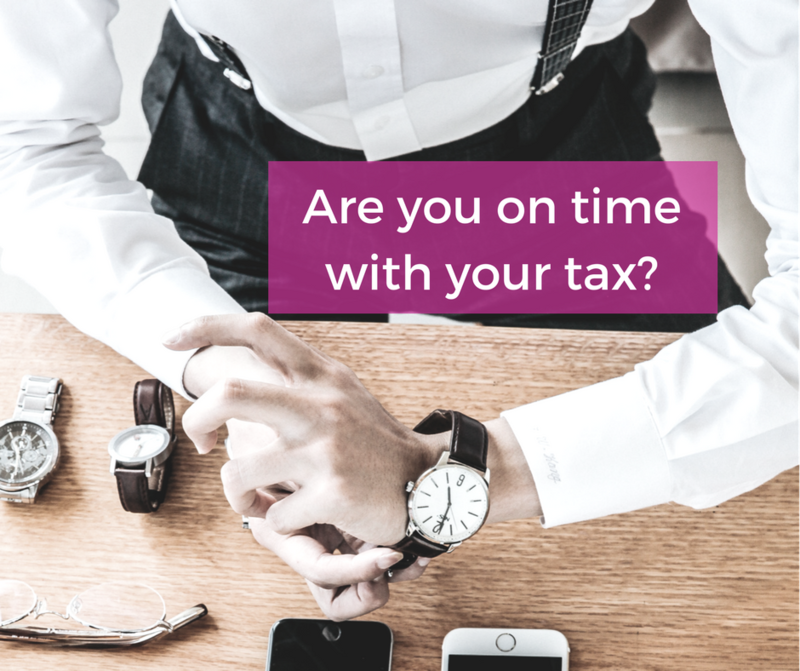 The answer is, that for almost all practical purposes, the Companies House deadline of 9 months is used for filing accounts with Companies House, for submitting the corporation tax return and paying corporation tax due. Is the deadline for the VAT return. You have one full calendar month and seven additional days from the end of your VAT quarter to submit and pay your VAT return. If your VAT quarter runs from January to March then the VAT return is due 7 May. While you are VAT registered you must hit your deadline each quarter; if there is nothing to include you still make a nil return. Is the deadline for the EC Sales list if submitted online. It’s 14 days if you submit a paper version. Unlike VAT there is no nil return for the EC Sales list. If you had no EC Sales in the period you don’t need to submit anything. Is the deadline for filing your paper self assessment tax return for the previous year. Self assessment returns ending 5 April 17 are due to be filed by 31 October 17. Is the end of the tax year. The tax year 2016-17 starts on 6 April 2016 and finishes on 5 April 2017. Is the deadline for filing your online self assessment tax return for the previous year. Self assessment returns ending 5 April 17 are due to be filed by 31 January 18. This is also the deadline to pay any tax that you owe for the last year, whether your return was filed online or on paper. 31 Jan is also the deadline for changing and re-submitting the self assessment tax return from the prior year. For example for the tax year ending 5 April 16, the deadline for changing the return is 31 January 18. Corrections after the deadline have to be done by writing to HMRC. Find out more in this article. Is the payment deadline for PAYE and CIS deductions due to HMRC (except if you are paying by cheque through the post). Is the deadline for filing the CIS (Construction Industry Scheme) return if your business has subcontractors. For month 1 (April) the filing deadline is 19 May. It’s also the payment deadline if you are paying either CIS or PAYE by cheque through the post. Is the payroll and CIS month end. Month 1 (April) starts on 6 April and ends on 5 May. Is when you can report Capital Gains using the HMRC ‘real time’ Capital Gains tax service. It’s also when you have to file your RTI return on each payday.